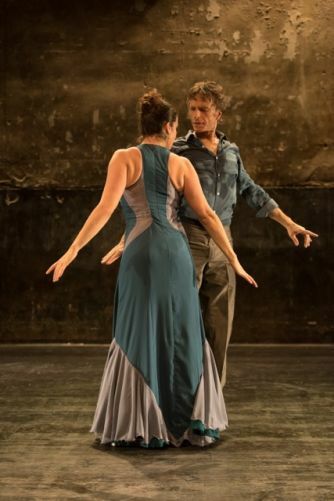 On reading Dürrenmatt’s Minotaur I was inspired to create a choreography of ’Tu minotauro es tu laberinto eres tu’ set to the music of Antonio Robledo. 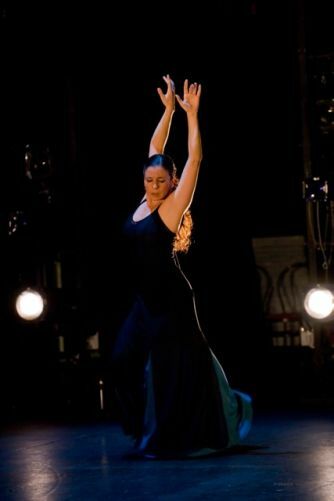 During this process, I noticed that Flamenco dance is perfectly suited to interpret the works of this unique Swiss writer. This ignited my passion and during the past year I developed a project concept as well as several choreographic approaches. Together with my dance company Danzarte I intend to elaborate the production of «Dürrenmatt im Tanz / dancing Dürrenmatt» in 2017. With an artistic approach, we will visualize the significance of Dürrenmatt’s works and bring them into context using current affairs. The aim of this production is a performance-ready concept with its premiere in the beautiful showroom of the Centre Dürrenmatt in Neuchâtel. Therefore, we have already presented our project to the Centre Dürrenmatt who have given us ideological support and offered us the possibility of a performance at their centre. The «Dürrenmatt im Tanz» programme takes place in an alternating dialogue between the recited texts of an actor, music and dance. To finance the production of «Dürrenmatt im Tanz» we still need a minimum of 11’000.– CHF. The costs are made up of choreography and direction works, costumes, one actor, two dancers, 6 weeks rent of a dance studio, technician, copyright and administration. This project ended successfully on 2/4/2017 12:00! You will receive a personal Thank-you e-mail. You will receive a personal personal postcard from Madrid with a list of 10 of my favourite sights, cafés or bars in Madrid or Zurich – nice places to visit during your next city break! You will receive a personal postcard from Madrid plus a promo DVD from danZarte. You will receive a personal postcard from Madrid with a list of 10 of my favourite sights, cafés or bars in Madrid or Zurich, plus a promo DVD from danZarte. You will receive a personal two-hour guided city tour in Madrid, followed by a drink in my favourite café/bar. You will receive a personal two-hour choreography guidance for your dance project (online per Skype, or in person in Madrid or Zurich). You will receive a voucher of CHFr. 100.00 for one of my regular dance courses in Zurich and you will receive a personal postcard from Madrid with a list of 10 of my favourite sights, cafés or bars in Madrid or Zurich, plus a promo DVD from danZarte. You will be invited to see behind the scenes as danZarte rehearse for a day. We will finish the day in a nice and typical Sherry Bar. You will receive a voucher of CHFr. 150.00 for one of my regular dance courses in Zurich and you will receive a personal postcard from Madrid with a list of 10 of my favourite sights, cafés or bars in Madrid or Zurich, plus a promo DVD from danZarte. You will be invited to see behind the scenes as danZarte rehearse for a day. Afterwards we will invite you to a Tapas Bar. In a addition you will get a private flamenco dance class. 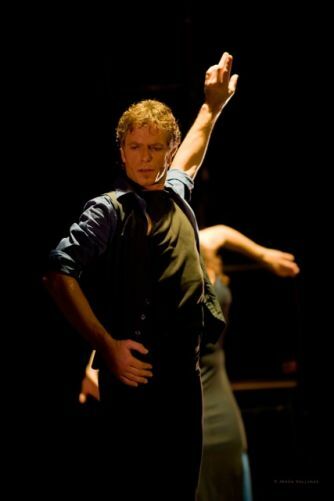 You will get two private flamenco dance classes und and an introduction into the history of flamenco. In addition to this you will get one exemplar of my favourite flamenco disc. You will be invited to see behind the scenes as danZarte rehearse for a day. Afterwards we will invite you to a Tapas Bar. In addition you will get a private flamenco dance class and a unique handmade ceramic pendant from Jewellery Store «de barro y plata» from Úbeda. You will get two private flamenco dance classes and one exemplar of my favourite flamenco disc. You will also get two tickets for the premiere of «Dürrenmatt im TanZ» and a unique handmade ceramic pendant from Jewellery Store «de barro y plata» from Úbeda. Tell us what benefit you would like, we’re up for your proposal! Born and raised in Switzerland, I have lived in Madrid for 30 years. As a dancer I have performed throughout Spain and on all continents. Spanish dance and especially Flamenco is my passion. The current project aims to stimulate dialogue between two distinct genres, dance and literature, as well as Swiss and Spanish culture.